If you're absolutely certain that you want to have your own business for the first time and you save up, quit your job go for it…then you realize all the taxes and fees, laws, expenses like advertising, realize you're working a lot more…well then your absolute gets a healthy dose of doubt and you'll wonder if this is what you really want. After that confusion, you remember why it was that you wanted to go into business in the first place…to be your own boss, to set your hours, to make your dream come true….so certainty goes to confusion and goes to certainty again. Or if you have a great life going, great job, great spouse…then in a short time you lose the job unexpectedly and the marriage ends. You may feel that "everything" is gone. All you associated your identity with, most of your daily thoughts and hours…gone. But after that you discover yourself, and that maybe those things were great for a time but them being gone doesn't mean your life has ended. Rather, a new one has begun. 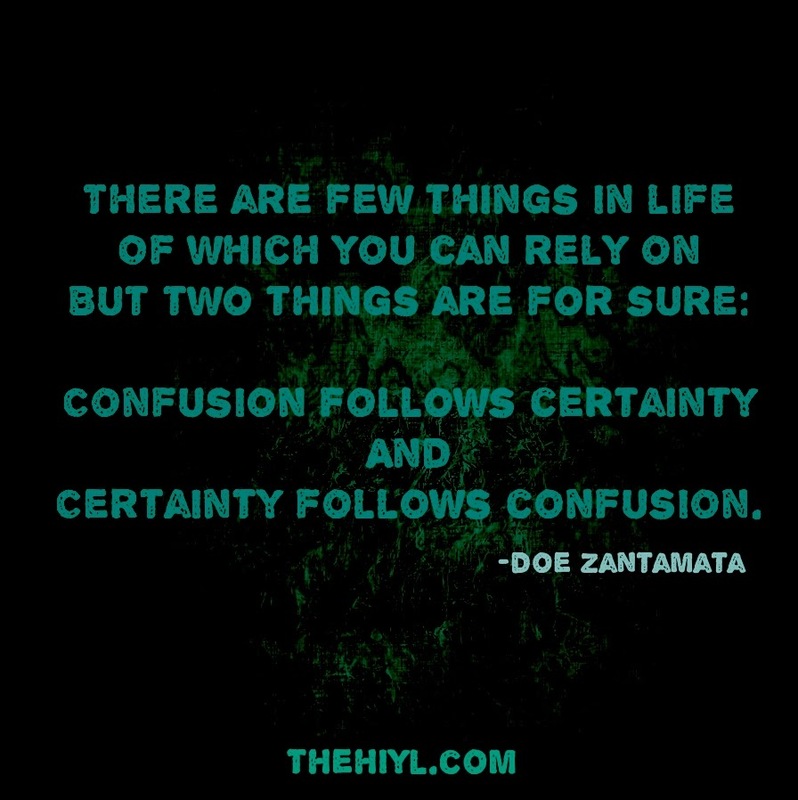 So that again is a different kind of certainty to confusion to certainty again. The point of it is really, to realize that feeling confusion or doubt is totally normal. They don't mean that anything is bad or that you've done anything wrong. They're just a pause point for you to decide if you want to continue in the same direction or begin another.